This article, as part II, illustrates applications of other two algorithms, i.e., the scanning F test of change points in trend and the scanning t test of change points in mean, to both series of the normalized streamflow index (NSI) at Makou section in the Xijiang River and the normalized precipitation index (NPI) over the watershed of Xijiang River. The results from these two tests show mainly positive coherency of changes between the NSI and NPI. However, some minor negative coherency patches may expose somewhat impacts of human activities, but they were often associated with nearly normal climate periods. These suggest that the runoff still depends upon well the precipitation in the Xijiang catchment. The anthropogenic disturbances have not yet reached up to violating natural relationship on the whole in this river. Jianmin Jiang is a visited scientist in The Chinese University of Hong Kong. This work is jointly supported by the Direct Grant from The Chinese University of Hong Kong, China (project no. 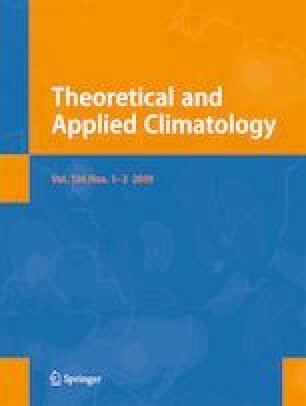 4052134), by the National Key Research and Development Program of China (2017YFC1502005), the China Meteorological Administration Special Found for Climate Change (CCSF201806), the China Meteorological Administration Special Found for Development of Weather Forecasting Key Technologies (YBGJXM(2018) 03-15), the National Natural Science Foundation of China (41505079 and 40705026), the National Department of Science and Technology - 863 projects (2008AA09A404-2).